Fine Homebuilding Magazine has long been a reference tool for craftsmen of the highest order. In fact, all of the Taunton Press magazines are exquisitely produced. 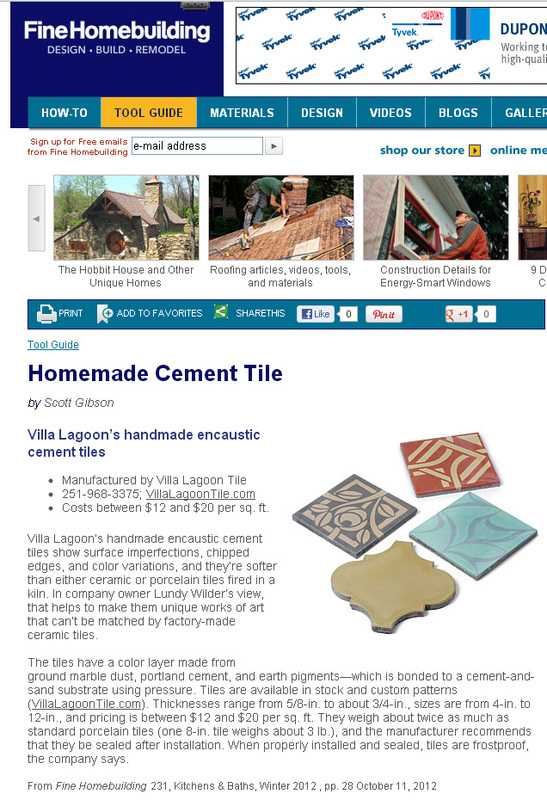 We are glad they want to introduce our tile to their many readers.